Each LED-shaft lighting of the easy connect – series is characterized by an easy installation. All LED-shaft lightings are prepared for a direct connection to the power supply. They are equipped with a shaped plug and a 10 m power supply cord. Accessories like dowels with cable tie holders and cable ties are part of the delivery – there is no easier and simpler way to get an illumination in your shaft! All LED-shaft lightings are CE-certified and meet the RoHS- and Reach – requirements. It is self-evident that the fulfillment of the European Standard EN 81-20 is a basic requirement. Switch GmbH & Co. KG has set a reference in the area of LED shaft-lighting systems with the introduction of the easy connect LED120-lighting strip. Highly efficient LED-chips and a robust design, together with a safety circuit in the connection box provide an unobstructed operation even in continuous duty. The easy connect LEDplus-shaft lighting with emergency light function illumninates the whole shaft in case of breakdown of the main power supply. This LED-lighting strip exceeds the minimum requirements of the EN 81 by far. A suitable shaft lighting control unit is available too. 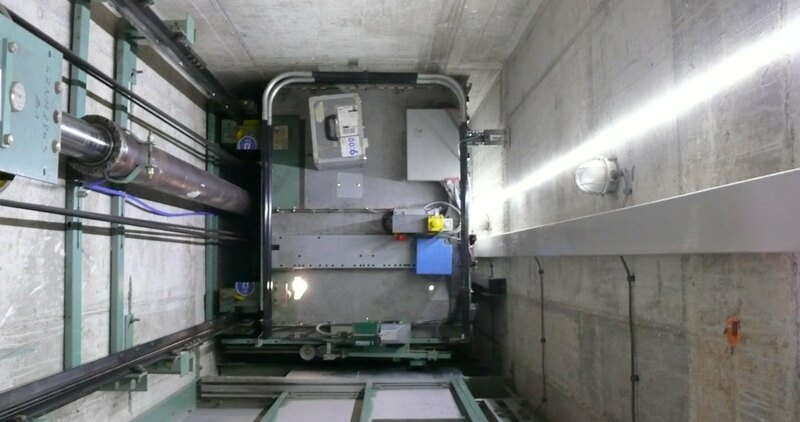 It provides an operation independently of the existing elevator control unit. Based on the easy connect LED120-lighting strip Switch GmbH & Co. KG expands the product portfolio with the new easy connect LED120Dif-lighting strip. Once again Switch GmbH & Co. KG is a trendsetter in the area of LED-shaft lighting systems. This configuration reduces the low dazzling effect of the 120 LEDs per meter once more.